Training conducted was concise, relevant and filled with practical scenarios. The trainer was adept, articulate and knowledgeable with concepts and had vast industry experience. Well-paced training with decent facilities. The training session helped me earn the certification. Foreign companies investing in Helsinki have created ample employment opportunities for professionals. 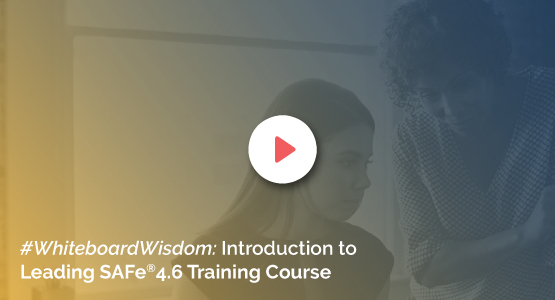 To help big organizations in improving their business outcomes, productivity and quality, KnowledgeHut is now providing Leading SAFe 4.5 course in Helsinki. We have formulated the entire course in a way to guide professionals to learn in-depth concepts of Scaled Agile Framework. Opting for Leading SAFe 4.5 certification in Helsinki will help professionals to grasp the hows and whys of Agile. The 2-day training sessions are also focused on teaching how the Scaled Agile framework effortlessly synchronizes the alignment, collaboration, and delivery of multiple agile teams. Being the Registered Education Provider and the Silver Training partner of Scaled Agile Inc., KnowledgeHut has always been the first choice for professionals when it comes to Leading SAFe. Our Leading SAFe 4.5 training in Helsinki is majorly intended for executives, development/QA/program managers, change agents (coaches), anyone helping lead or participating in a SAFe rollout. Professionals seeking in-depth knowledge on Scaled Agile framework will also be able to prepare themselves for SAFe 4 Agile Exam. Professionals involved in software development, testing, business analysis, product or project management should take up our Leading SAFe 4.5 certification in Helsinki. The entire course module has been officially authored by the Scaled Academy Inc. To provide flexibility in learning Leading SAFe 4.5 course in Helsinki, KnowledgeHut has launched both classroom and online training. The e-learning sessions are well equipped with advanced reference materials.